Pay-per-use is going to get more precise in 2018. Customers are tired of having to pay for things they don't use. Car insurance companies seem to be the first to adopt pay-per-mile insurance, and pay based on driving habits. This is just the start, more and more services will have to get a lot more granular than yearly, monthly, or hourly pricing. For many SaaS offerings minutes are not even enough; how to charge by second, or microsecond? Whether you have an existing offering, or are about to roll out a new offering, the SaaS Pricing Engine is critical to success. Price it too low and you might have negative margins, or price it too high and the margins look good but no one wants to pay to use it. Customers are looking for a much more granular pricing structure-a pay-per-use model, but where usage can be measured at the minute, or even ideally the nanosecond level. 1. The architecture will need to be very flexible and handle pricing at fewer orders of magnitude smaller than the customer needs, i.e. if the customer demands minutes make sure the engine can handle microseconds. Since this data is basically a timestamp with some measurement of resource utilization, the optimal database to store this utilization data is a Time Series Database (TSDB). 2. Scaling to customer growth, especially for a SaaS offering, the sheer volume of metrics needs to be collected at the order of precision required and provide growth as precision requirements increase. Using the pricing data, business will need to adopt an analytics approach to pricing based on resource utilization and statistical models that can help predict demand and charge accordingly. A core architecture need will be a data store that is optimized to store this high precision time-stamped data. A Time Series Database (TSDB) is perfect for this task since it is designed for this particular use case. The TSDB is the fastest growing database architecture, and dynamic pricing is just the tip of the iceberg on what it can be used for. 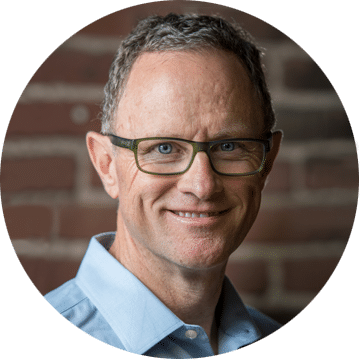 Mark is a well-rounded silicon-valley executive with proven experience in taking complex technology and making it understandable to the broader audience. He has a deep passion for marketing starting with the developer all the way up to the CIO. Before InfluxData, Mark was VP of corporate and developer marketing at Hortonworks. Previously, Mark has held senior management positions at Software AG, Sun Microsystems, Forte Software, and Oracle. Mark holds a B.S. Degree from the University of Witwatersrand, South Africa.